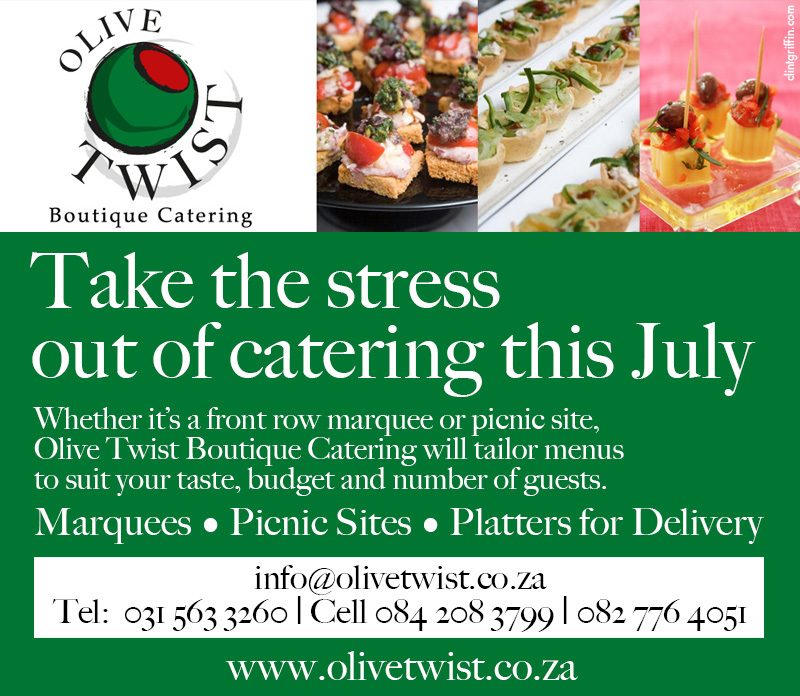 Us Durbanites have a habit of leaving things to the last minute…so don’t forget the July is coming up and if you would like Olive Twist to take care of your catering. Don’t delay give us a call today. Seven billion people, the latest count. Concern for the planet, the energies mount. This event is red, that’s for sure. But support for green, is part of the cure. Spare a thought, for Mother Earth. Need to save her, for all we’re worth. Alternative fibres, no time for panic. All these words, what do they mean? For a start, change your routine. Reduce, respect, reconstruct, ‘My Dear’. Show support, through what you wear. Or what it’s made of, concern with flair. Glitz and sparkle, are definitely in. The overall impression is what will win. So for this day – Love red! Think green. Your earth-friendly ensemble will steal the scene!